Like me, G.I. Joe turns fifty this year. Of course the Joe of my youth wasn't those puny Joes fighting Cobra. 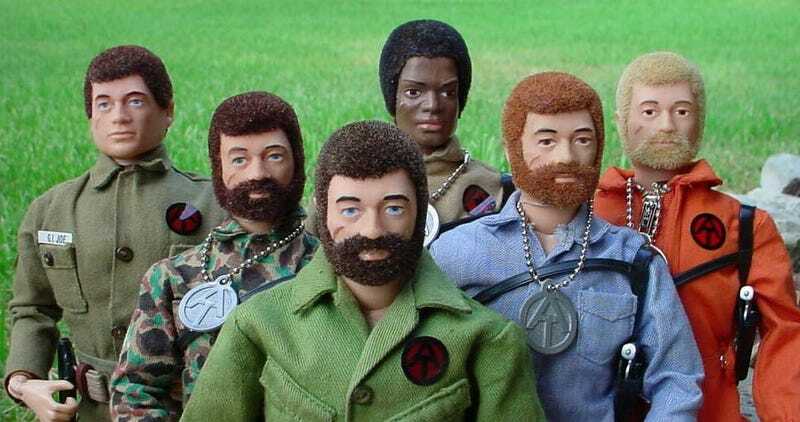 I grew up with the old school 12" Joes with life-like hair and kung-fu grip. Joe's exact birthday is in dispute. Hasbro will announce its 50th anniversary plans during this year's American International Toy Fair later this month. I was a kid squarely in the Adventure Team years when Joe was an adventurer/soldier of fortune after Vietnam. Yes, I had this Adventure Team headquarters. Sadly, I did not have the training tower.